Renting a room close to some Melbourne trains stations can be costly according to recent data from Flatmates.com.au. 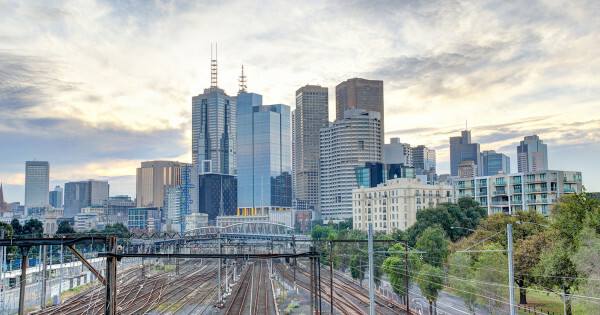 The data from the flat-sharing site showed average rooms prices within 1km of the train stations were more expensive than the suburb average in 53% of suburbs considered. 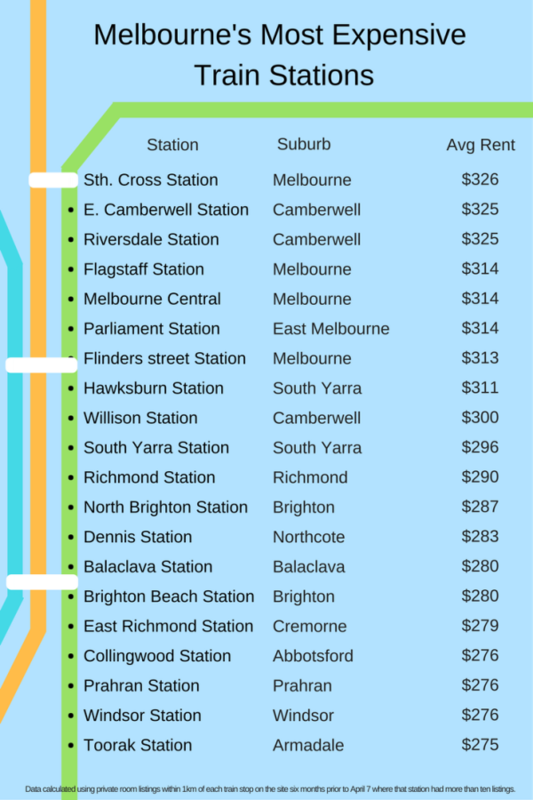 Southern Cross Station with an average room price of $326 per week topped the list as the most expensive, more than $100 over the Melbourne average. Surprisingly, average room prices within 1km of East Camberwell and Riversdale Stations were equal second most expensive at $325 per week— a whopping 51% higher than the suburb average of $214*. Flagstaff, Parliament and Melbourne Central Stations ranked next with average private room rents of $314 each. So if you’re on a budget and need a room close to a Melbourne train station, you may want to steer clear of these.